Nº de jugadores: 1; ¿Multijugador?. Modos de Juego: Modo campaña; ¿Multijugador?. Fecha de salida: --/--/---- (Cuando esté listo). Cyberpunk es un RPG basado en el juego de mesa del mismo nombre creado por Mike Pondsmith en 1988, el cual sigue siendo actualizado en la actualidad, tendrá una historia no lineal donde podremos crearnos nuestro propio personaje y seleccionar la clase. El equipo encargado de Cyberpunk es un nuevo grupo de desarrollo dentro de CD Projek que cuenta con varios veteranos que ya han trabajando en The Witcher al que se unirá el propio Mike Pondsmith, el cual hizo acto de presencia en la conferencia. Ambientando en un año 2020 distópico, gobernado por omnipresentes megacorporaciones por encima de la ley. La Unión Europea es un estado en distopía, los Estados Unidos de América se desmoronan y luchan por sobrevivir, varias ciudades corporativas están en auge. La situación es confusa en Asia y Oriente Medio, no tanto en la India, Australia se ha dividido en dos y Nueva Zelanda es el último lugar decente para vivir mientras que la URSS no se disolvió. La línea temporal del juego comienza a separarse de la actual en los años 80, hasta llegar a un hipotético 2020 en el que muchas tecnologías han sido superadas en la actualidad. El juego se ambienta en la ciudad de Dark City. - RPG de corte adulto, realista y brutal situado en un mundo rico y futurista, donde la sociedad ha degenerado hasta límites insospechados. - Emocionante historia no lineal cargada de vida y detalles. - Mecánicas RPG avanzadas basadas en el sistema del RPG de lápiz y papel. - Gigantesco arsenal de armas, actualizaciones, implantes y juguetitos geniales de alta tecnología. - Los desarrolladores buscan establecer un nuevo estándar en el género del RPG futurista, una experiencia de juego excepcional. - Podremos crearnos nuestro propio personaje y seleccionar la clase. - Rockero: Artistas rebeldes que utilizan la música y la revolución para combatir el poder y la corrupción megacorporacional. - Mercenario: Verdaderas máquinas asesinas, que lo hacen por dinero. Guardaespaldas sin pudor que cumplen su trabajo a todo costo. Verdaderos guerrilleros del futuro. - Netrunner: Piratas informáticos que emergen de un mundo tecnologizado. - Técnico: Mecánicos y expertos electrónicos renegados del mundo que prefieren su ciencia que la fuerza. - Tecnomédico: Doctores del siglo XXI que hacen de la medicina un verdadero negocio cibernético. - Periodista: Grandes traficantes de información que hacen lo que sea por informar, bajo cualquier condición y costo. - Policía: Autoridades uniformadas y civiles encargadas de hacer valer la ley en un mundo que no desea respetarla. - Ejecutivo: Expertos negociadores, sabuesos del dinero, multimillonarios con tiempo para dedicarlos a cualquier corporación. - Nómada: Pandilleros errantes y guerreros urbanos que dominan las carreteras. - El juego pasa a llamarse "Cyberpunk 2077"
- Es un RPG ambicioso de carácter "mature"
- Múltiples historias en un mundo tipo "sandbox" en "Night City"
- Todo es reflejo del progreso que ha hecho la humanidad en 50 años. Es un juego de rol de lápiz y papel creado por Michael Alyn Pondsmith en 1988, y ambientado en un universo cyberpunk. Influencias de William Gibson, Bruce Sterling y otros autores, así como de películas y series de televisión (Max Headroom). Yo también me "reservaba" a la de la tercera réplica . Genial post oficial. Me alegra que os animéis a hacer posts oficiales. A ver si van saliendo cositas para rellenarlo un poco. Entrevista a Marcin Iwiński sobre Cyberpunk, el papel de Mike Pondsmith (creador de la edición papel y lápiz) en la IP, su visión de la piratería (Cyberpunk saldrá sin DRM ) y el Hardware de la next gen.
CD Projekt RED co-founder Marcin Iwinski is proud of the work his small team has done — and he has every right to be. The Polish video game developer’s first two titles, The Witcher and The Witcher 2: Assassins of Kings, are both critical successes, with Metacritic scores of 81 and 88, respectively. Since launch, The Witcher 2 has sold more than 1.7 million copies on both PC and Xbox 360. Polish Prime Minister Donald Tusk even gifted a copy of the collector’s edition to visiting President Barack Obama last year. Now, the studio hopes to top all of that with Cyberpunk, a role-playing game based on the classic pen-and-paper system created by renowned game designer Mike Pondsmith. We recently sat down with Iwinski (pictured) and CD Projekt RED’s head of marketing, Michal Platkow-Gilewski, at this year’s Electronic Entertainment Expo to talk about the new project. -GamesBeat: I watched your press conference last week, and I saw the announcement for Cyberpunk, which I think is pretty exciting. Why did you decide to do that property for your next game? -Marcin Iwinski: After The Witcher 2, we were looking for a great setting for a role-playing game. We were discussing internally what we would be excited to work on. So initially we thought, “OK, let’s take a look [at the cyberpunk genre].” We like the setting. We’re fans of the literature, obviously. The movies as well. I think it’s a perfect setting for a game, not only a RPG. The sky’s the limit…all the technology, all the modifications, and the questions. You know, how humans will behave and all that. I think this is a super interesting setting. Of course, as we have already the medieval, mature fantasy world of The Witcher, we just wanted to do something different. 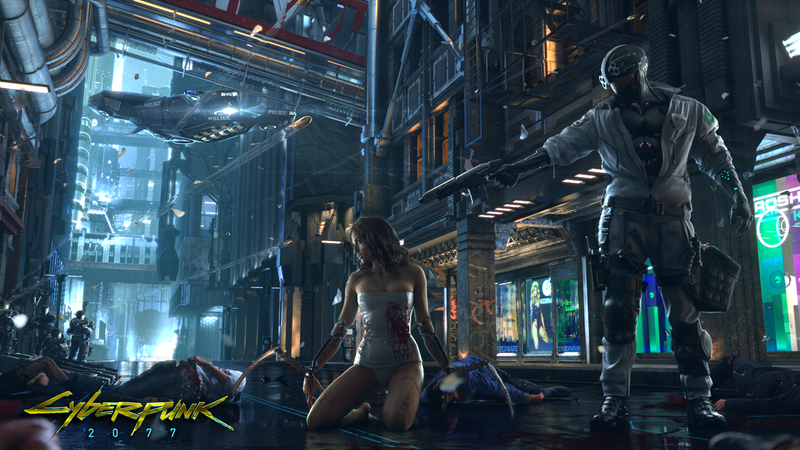 -GamesBeat: Cyberpunk is pretty much the complete opposite of The Witcher. -Iwinski: Yeah, and I think that’s really what a lot of people on the team are excited about. We want to have a world on which we can base the game, a great setting. You can go on and invent it — write a story, describe the world, pretty much what a lot of people are doing in the industry — but why do that if you have something really great that you can use? -GamesBeat: How difficult is it to translate over 5,000 pages of pen-and-paper mechanics into a video game? -Iwinski: Well, you’re not talking about translating the 5,000 pages. It’s more taking from it and building on it something that will feel good in the medium of computer games. -Michal Platkow-Gilewski: Using that in a wise way. -Iwinski: We are not recreating what Mike Pondsmith (pictured) did. We are making a game based on that, so we’ll do some new things, and we’ll probably change some things. Of course, it’s great that Mike understands computer games. He was a game designer and still is, including computer games, so we are consulting on a medium-high level with him on certain design decisions. -GamesBeat: What’s it like working with Mike? -Iwinski: We were talking for the last several months, and it’s great. I think he’s open to ideas. 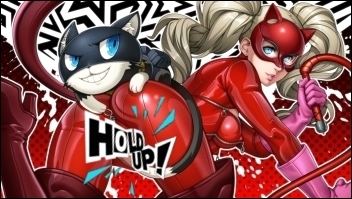 We were talking about a certain difficulty, for example, in the gameplay side. He totally digs it, and he’s like, “Yeah, OK guys, maybe you should do this and that.” So, it’s a great benefit to work with a person that’s experienced in computer games. -GamesBeat: During the press conference, you said you wanted to create “an outstanding new standard in the futuristic RPG genre.” That’s a pretty lofty ambition. How are you guys going to accomplish that? -Iwinski: I think we’ve created some new standards in terms of storytelling in the RPG genre, in terms of having no compromise in the way the story is being told, how we shape the world, how believable the characters are, how similar it is to what we see around us. We are really looking at totally new ideas on telling a story and involving the gamer in it. I think we’re looking at what the critics were saying and what the fans were saying. I think we’ve delivered something totally new. Second, we don’t see any reason why RPGs should look worse than shooters. They should actually look better. The story’s always the thing, because that’s the thing which keeps you playing, but these days — and especially in the next generation when you have the new consoles, when you have the new HDTVs — you’re going to want bells and whistles on the graphical side, and we want to deliver on that as well. -GamesBeat: How has your experience with The Witcher series helped you in making this game? -Iwinski: I think both The Witcher 1 and The Witcher 2 really were the fields where we learned how to tell a great story. We’ll be taking all these lessons learned to build an even more gripping, non-linear experience in the same fashion, so no distinction between good and evil, no easy moral choices. We are making a game for a mature audience, and we are very vocal about it. I think it’s very important, so we are treating our game right, and we are not insulting your intelligence. -GamesBeat: Is Cyberpunk going to be a PC exclusive when it first releases? -Iwinski: No, no. We are looking at Macs as well. Definitely. We come from a PC country, we are PC experts, but we wouldn’t like to limit the experience and the audience. -GamesBeat: I know you probably can’t tell me yet, but do you have any idea when Cyberpunk will be released? -Iwinski: We can’t say. It’ll take some time. -GamesBeat: Is there anything you can tell me right now about its storyline and setting? -Iwinski: No. It’s way too early, but in the second half of the year we’ll be talking more. -Platkow-Gilewski: We can tell you today that it will be great. -Iwinski: [laughs] OK, that was a good one. -GamesBeat: I can quote you on that. CD Projekt RED ha dicho que Cyberpunk tendrá una curva de aprendizaje más suave que la de la saga The Witcher, en cuanto a contexto e historia. "Lo que hemos aprendido con The Witcher es que necesitamos atraer a más gente con una curva de aprendizaje más suave a la hora de contar la historia", dijo Adam Badowski de CD Projekt. "En The Witcher 1, por ejemplo, abandonábamos a la gente en mitad de la historia y asumíamos que los jugadores sabrían lo que estaba ocurriendo. Pero muchos de ellos nos dijeron que no comprendían esta o aquella relación". "Con nuestros próximos juegos queremos que los jugadores sean capaces de entrar mejor en contexto, y necesitamos presentar el juego y los personajes a la gente más apropiadamente". Cyberpunk estará basado en el juego de rol de mesa del mismo nombre creado en 1988 por Mike Pondsmith. A diferencia de The Witcher, aquí podremos crearnos a nuestro personaje y podremos seleccionar su clase. El mundo sobre el que se desarrolla está ambientado en un futuro lejano, donde la tecnología está a la orden del día y en el cual la humanidad se encuentra en un estado decadente y degenerado. En Witcher hay momentos en los que dan por hecho que te has leido los 7 libros de la saga. Hay muchos cameos y alusiones a los libros que comienzas a comprender una vez leidos todos. Y spoilers muy gordos de los libros. 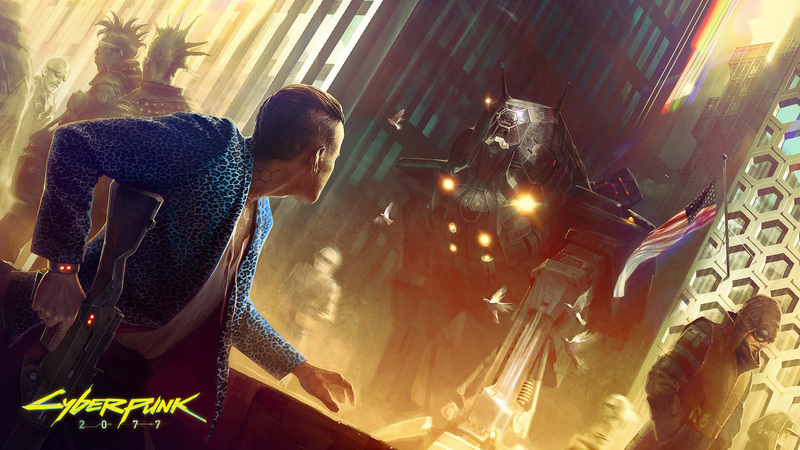 CD Projekt, el grupo de desarrollo polaco responsable de la saga The Witcher, sigue desvelando poco a poco detalles sobre Cyberpunk, su próximo videojuego de rol basado en el juego de rol del mismo nombre, Cyberpunk 2020, ideado por Mike Pondsmith. El objetivo del estudio, según ha declarado en una reciente entrevista, es asegurarse de que el juego mantenga la misma sensación que el original, pero actualizando su ambientación. Si el juego de rol original traslada a los jugadores al ya cercano año 2020, su adaptación a videojuego se ambientará en un futuro no muy lejano, inspirándose en la película Blade Runner para trasladar a los jugadores a un mundo en el que la tecnología permite a las personas cambiar el mundo por sí mismas. La idea de CDProjekt es, en colaboración con el creador del juego de rol, actualizar la ambientación futurista de Cyberpunk llevándola algo más hacia el futuro desde el punto de vista de la actualidad, del mismo modo que hace 25 años el juego de rol original "predijo" cómo sería ese hipotético 2020. La compañía anunció el juego hace unas semanas, y se espera un lanzamiento en el año 2013, y más detalles en los próximos meses. Hay que tener el cuenta que el juego original fue escrito en el 88. Es normal que se actualice un poco la cosa. La gente se quejará y dirá que van a cambiar la ambientación pero yo creo que la van a hacer más coherente con el mundo actual, hay cosas que hace 25 años eran impensables a nivel tecnológico o científico, y ahora son viables o ya se han conseguido. A ver si muestran de una vez un teaser o algo por el estilo. Lo nuevo de CD Projekt Red, los padres de The Witcher, podría dar una gran importancia al modo multijugador según se desprende de una oferta de empleo publicada por la compañía en la que buscan un programador especializado en multijugador. El nuevo trabajador del estudio se encargará de integrar las herramientas multijugador al Red Engine, el motor de creación de videojuegos empleado por el estudio y del que se han nutrido títulos como el reciente The Witcher 2. Asimismo, tendrá que diseñar e integrar la capa de gestión de redes y otras variaciones del sistema asociados a la creación e integración de los elementos multijugador. Además, prefieren que sea alguien con experiencia en PC, Xbox 360, PlayStation 3 y en el campo de los juegos de rol. Espero que si ponen multijugador en el Cyberpunk no afecte a la calidad del juego como le pasó al Mass Effect 3. Los Chicos de CD Projekt responden a algunas preguntas que hizo la gente en su foro. As promised last week, today we’ve prepared some information about our upcoming Cyberpunk title. It’s great that you have so many questions about the game and we hope that we can satisfy at least some of your hunger for knowledge about the title that’s currently being in the works. With that being said, let’s get to the main dish. Below you can find the original questions followed by answers from CD Projekt RED Community Manager, Marcin Momot. Richie79: What elements are you using as inspiration (references) for making Cyberpunk? Marcin Momot: There are quite a few actually. Aside from the obvious ones like the works of William Gibson or the Blade Runner movie, we also take from the first Ghost in the shell, both anime and manga. We’re also looking up to ShellShock because of its interesting approach to gameplay. The first part of Deus Ex is also a very important source of inspiration to us. Guipit: Will choosing your class affect the story? If so, how much? MM: It’s always been very important to us to deliver mature and ambitious entertainment. It’s not going to be any different this time around. We want to keep the role system from the pen & paper version of Cyberpunk. As opposed to the regular fantasy set-up with mages, warriors and archers, we’re going for something different. In Cyberpunk, each character role will offer a set of special skills that will impact your stats in many different ways. That’s where the challenge kicks in, we want to create a game where character customization will be strongly tied with the plot. Now going from that, we believe that we can make a game where, with many different role choices, you will get a very strong, engaging story, just like it was with The Witcher. Mihura: Will there be full customization of our character like a D&D game, things like gender, ethnicity, moral stand point, sexuality...etc or we will be restrict to something like Geralt from TW2? MM: We definitely want to give players way more freedom with customization of the main protagonist then they had with Geralt in The Witcher series. We are planning on letting them change their statistics, equipment, implants and much more. 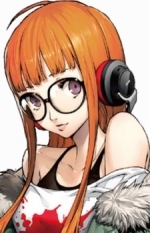 Saoe: When can we expect to see more info, screenshots or first videos from the game? MM: I keep bothering guys from the art team to release some new content soon but they don’t want to listen to me for some reason. I won’t give up though, so make sure to follow our website and social media because when I finally convince them, you will be the first ones to know. MM: Cyberpunk’s story takes place all over the world, but we’re going to focus on it’s most characteristic venue - Night City. One thing is certain, we want to make a game with an open, living world that stays true to the source material. CD Projekt RED and GOG.com Special Event takes places this Thursday (18 October) at 18:00 GMT. The conference will be streamed online at facebook.com/thewitcher and www.gog.com so be sure to tune in to watch our live broadcast. 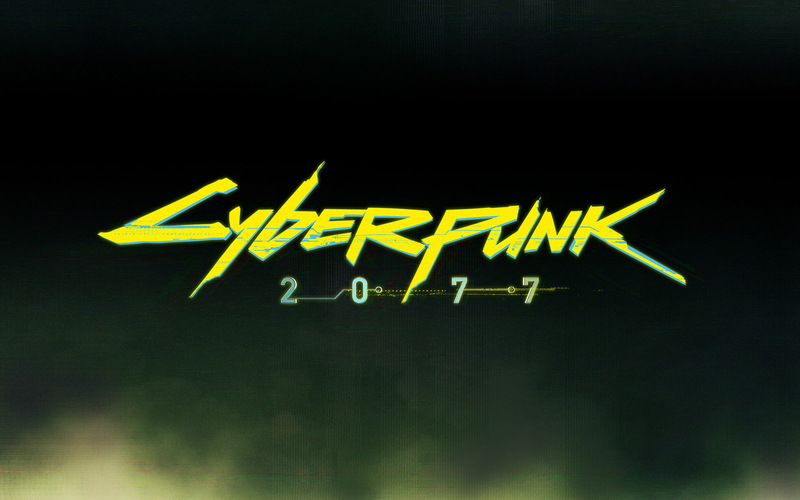 During the event CD Projekt RED will announce the official name of their futuristic new IP, based on the classic pen & paper RPG Cyberpunk®. More exclusive details about the project will be shown. Speaking of new operating systems, GOG.com will also be announcing that it is bringing the best PC games from throughout history to a new operating system. That’s not all of the news that GOG.com has planned for the Special Event, however: they will also be showcasing several new releases as well as giving gamers a unique chance to get some of the greatest classic games ever made for a literally unbeatable price. 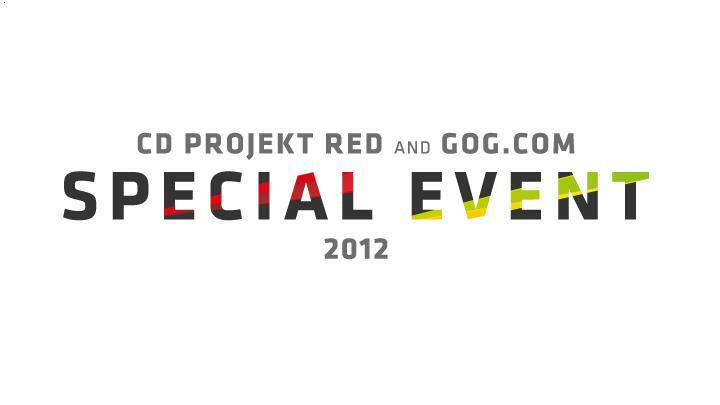 Remember – the live stream from the CD Projekt RED and GOG.com Special Event starts October 18th, 18:00 (GMT). See you then! El creador de Cyberpunk tiene la puta mejor voz de la historia. Tampoco es que hayan mostrado mucho. Esperaba un Teaser al menos. Que sea Sandbox me da la idea de que el combate va a ser un sistema en tercera persona con coberturas y quiza algún sistema de pausas tácticas. Algo a lo mass effect. No va a ser Sandbox, va a tener escenarios sandbox, es decir, escenarios muy abiertos. 26 Re: ~Post Oficial~ CYBERPUNK 2077 || La nueva IP de CD Projekt RED.